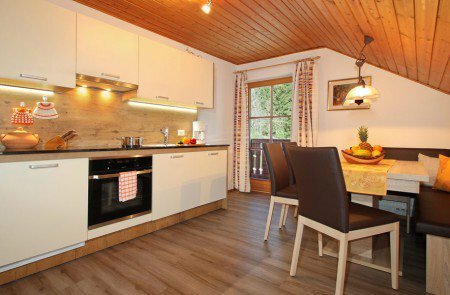 Are you looking for a spacious holiday apartment with modern facilities, fantastically located and big enough to offer even a larger family plenty of space? 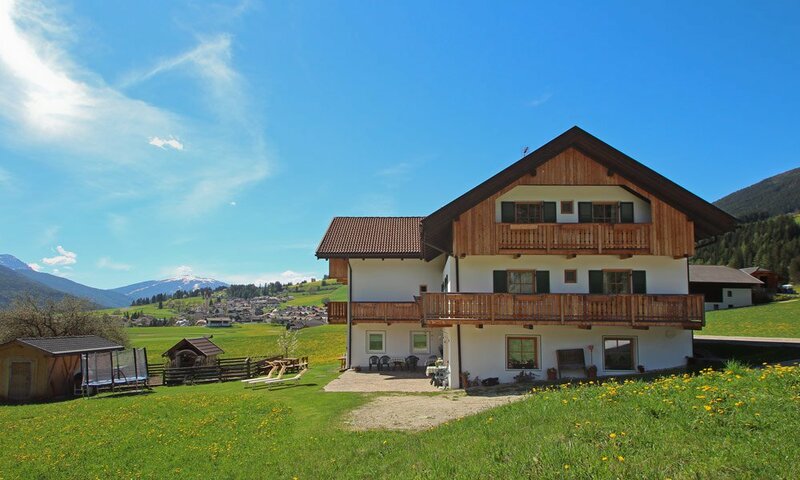 Simply choose our vacation home in the Pusteria Valley for your next holiday in South Tyrol! 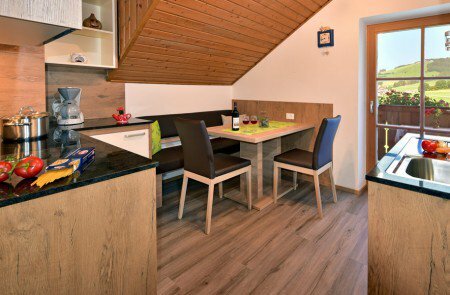 Two of our 3 holiday apartments offer 70 m2 of space and can comfortably host up to seven persons. 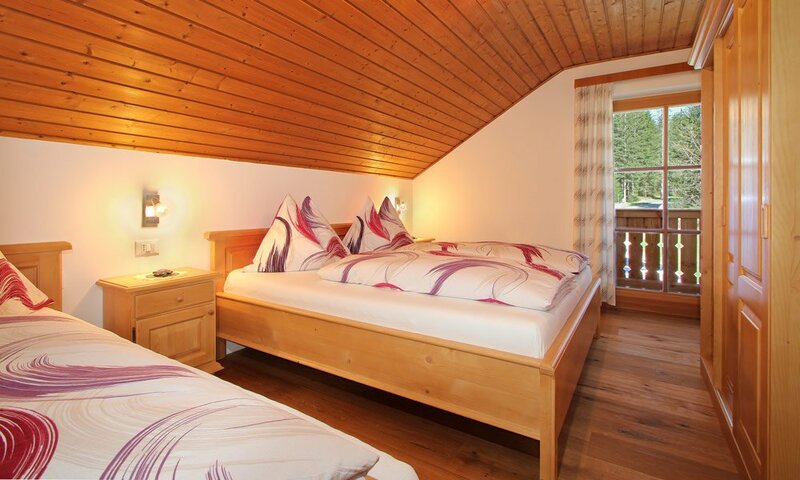 The smaller holiday apartment can accommodate 2 to 6 persons. From the balconies you may enjoy a wonderful panoramic view on Mount Rudlhorn, the village of Tesido and the surroundings. You will find a fully equipped eat-in kitchen, 1, 2 or 3 bedrooms, a sitting area, a TV, a shower, a sofa bed and other amenities that will make your vacation as pleasant as possible. 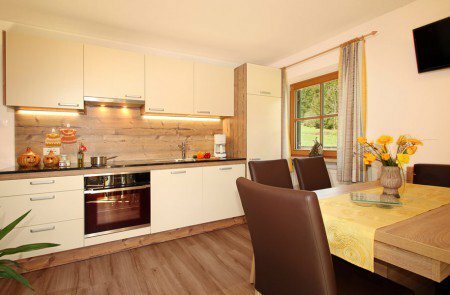 In our holiday house in the Pusteria Valley, we also provide toddler equipment, including a high chair and a cot. Here with us, you will not miss a thing! As our guest, you don’t have to worry about bed linen, towels etc. – It’s all available here. 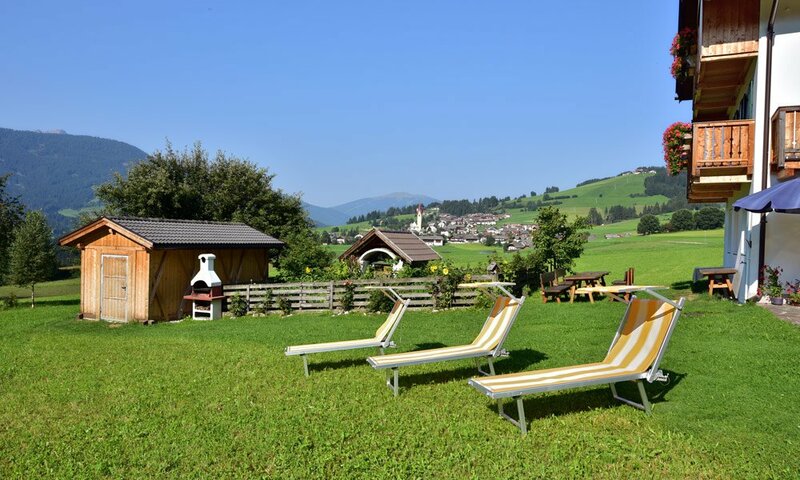 Of course, in our holiday house in the Pusteria Valley there is Internet access; and if you wish to relax on our farm, you may spend time on the beautiful lawn and on the sunny terrace. Come – and simply enjoy!